Emma Haruka Iwao, a Google employee from Japan, found the new digits with the help of the company`s cloud computing service. Pi is the number you get when you divide a circle`s circumference by its diameter. Pi is used in engineering, physics, supercomputing and space exploration - because its value can be used in calculations for waves, circles and cylinders. "I feel very surprised," Ms Iwao, who has worked at Google for the past three years, said of her achievement. "I am still trying to adjust to the reality. The world record has been really hard." But she still hopes to expand on her work. "There is no end with pi, I would love to try with more digits," she told. It would take 332,064 years to say the 31.4 trillion digit number. Google announced the news in a blog on Pi Day (14 March - "3.14" in American date notation). "Pi is useful not only for measuring circles but it also appears in calculations for everything from the period of a pendulum to the buckling force of a beam," said mathematician Matt Parker. 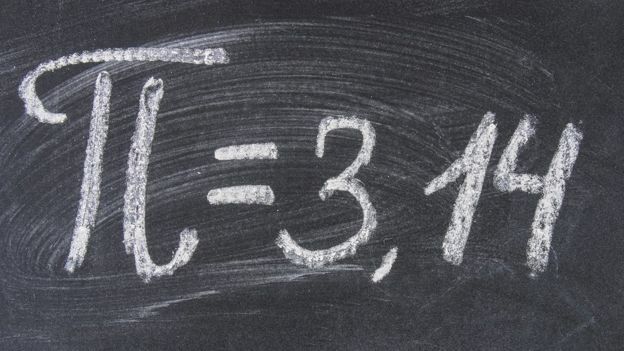 "Modern maths, physics, engineering and technology could not function without pi." In 2010, Nicholas Sze used Yahoo cloud computing to calculate that the two quadrillionth digit of Pi was zero - a calculation that would have taken 500 years on a standard computer at that time. However, he did not calculate all the digits in between.